Martin Luther's catechisms 3 the Small Catechism in 1528-29, and the Large Catechism in spring 1529 - responded in part to "the deplorable, wretched deprivation that I recently encountered while I was a visitor" to rural Saxon congregations. The former was for laity, the latter an elaboration largely for the education of clergy, with Luther excoriating "their pure laziness and concern for their bellies." Reformation scholar Timothy Wengert has studied Luther's catechisms for the light they shed on the maturing Reformation faith but also for the fascinating lens they afford into the social world of Wittenberg in those years: children, clergy, education and publishing, marriage customs, devotion and prayer, and celebration of the Lord's Supper in this period, along with Luther's own hearty faith, are all illumined by these Western classics. 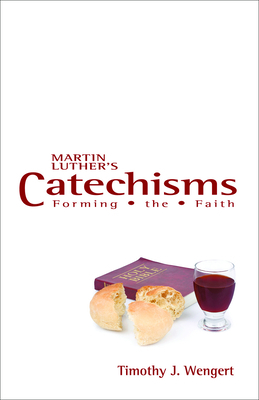 In this volume, which also includes the texts of the catechisms, Wengert follows the traditional catechism order to demonstrate the dynamic faith exhibited in the catechisms in their original context and ours. An ideal resource for college and seminary classes, as well as individual and group reading, this volume will be a valued vehicle for understanding Reformation faith for many years to come.